Get your car winter ready. There’s nothing like being caught in lashing rain on an endless freeway, with struggling windscreen wipers to remind you of the hazards of winter driving. Yes, winter conditions on our roads can throw-up some challenging situations. 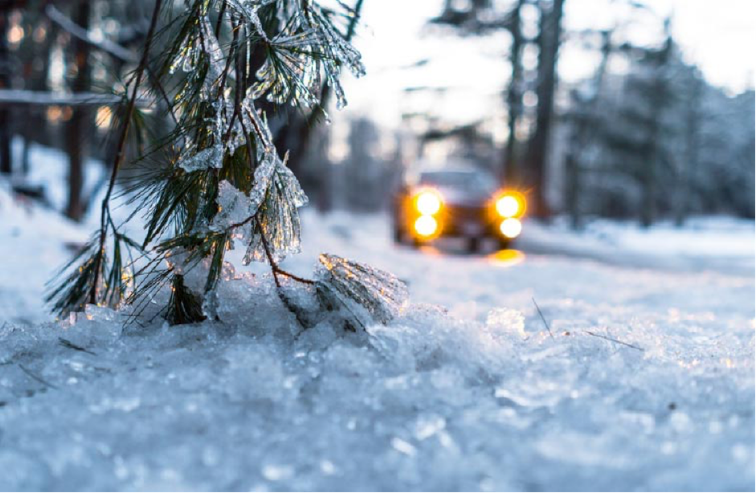 So, to minimise the risk of any terrifying experiences on the road this winter, and to get your car winter ready, here are some tips to keep you safe and in control. Winter driving conditions mainly affect visibility. Low light, fog, heavy rain and falling snow all make seeing the road ahead harder. Clear windows and mirrors before you set out. If you're heading to the snow, carry a screen scraper. De-mist the inside of your windows before you start-off. Not only is trying to clear your screen annoying as you’re driving, it’s also dangerous. Regularly cleaned windows also don't fog-up as much. Frosty mornings can leave a sheet of ice on your windscreen. Use cold water instead of hot water to melt the ice or you’ll run the risk of cracking the glass. 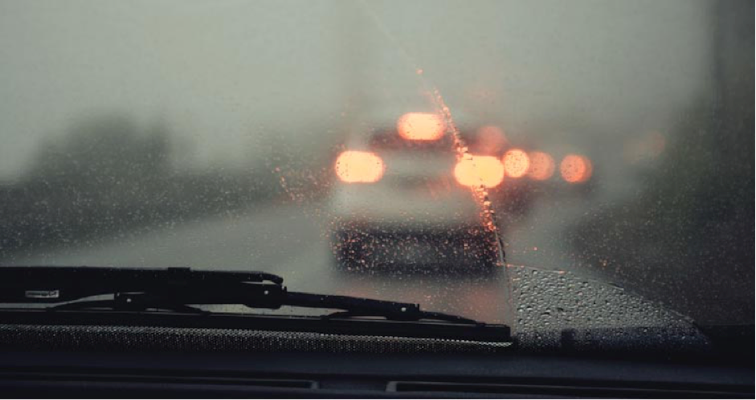 Windshield wiper blades can get brittle after summer, so it's not a bad idea to invest in a good quality pair - they’ll make a big difference if you’re caught in lashing rain on a freeway. Keep your windscreen wiper fluid topped up - you'll use more if you’re going up to the snow. Check that your headlights and tail-lights are all in working order. Drive with your headlights on if your car doesn’t have daytime running lights or automatic headlights to make you more visible. It’s not only you who finds it hard to get going in winter. Your car battery can also become sluggish in cold temperatures. The ability to start and run your car is more draining on a battery in the cold. That’s why it’s a good time to replace an old one if you’ve had it under the bonnet longer than you can remember. Of course, your brakes should be well maintained throughout the year, but having them inspected and at their winter best is a safe bet. You don’t want them too soft or too touchy - and any shuddering, pulling or grabbing to one side on wet or icy conditions can lead to a white-knuckle ride. Most cars are fitted with safety assist technology such as Electronic Stability Control (ESC) and Anti-Lock Braking System (ABS). Check your car manual to understand how they help your driving in severe weather conditions. But don’t let this technology lull you into a false sense of safety. Grip on the road in winter conditions becomes all-important in keeping you and your family safe. Don’t put off replacing worn tyres, especially when you consider your car is only connected to the road by the equivalent of one handprint of tread from each tyre. When your tyre depth reaches just 3mm your wet grip is dramatically reduced and braking distances is affected. You can check your tread depth with this simple 20 cent coin test. Learn this easy life hack here. Snow chains are compulsory for 2WD vehicles in some national parks, such as Kosciuszko in winter months. So, if you’re planning a holiday anywhere in the snow, carry a set of properly fitting snow chains in the boot. Practice fitting them on at home if it’s your first time using them. Cold temperatures reduce tyre pressure and affect grip, so check your tyres are properly inflated to the vehicle manufacturer’s specifications throughout the winter months. If there’s any question about the roadworthiness of your tyres, please consult an expert at your local Bridgestone Tyre Store. The best thing you can do to ensure your car is winter ready is to have it serviced. Spark plugs, batteries, engine fluids and timing belts are all things that can be affected by the cold. Here’s a good rule for winter driving: everything you do - do it slower. That’s because you want to reduce the chances of losing control of your car and give yourself the best chance of correcting a situation if it happens. Anticipate conditions ahead and brake early. Avoid sudden stops. 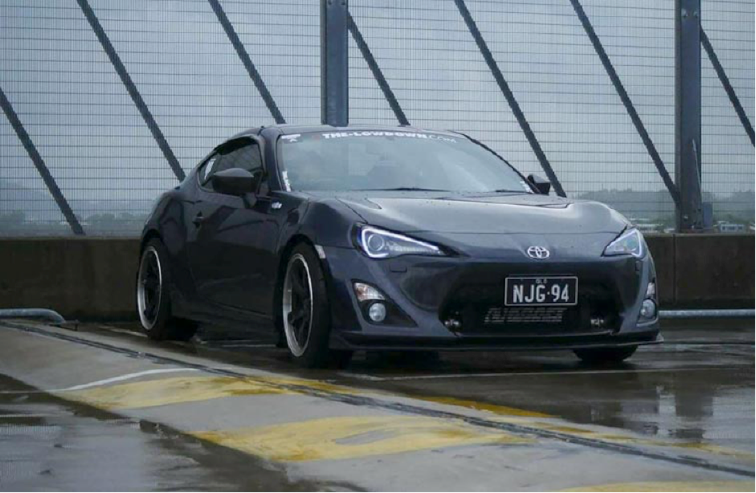 Slow down and avoid hard braking or turning to reduce your chances of aquaplaning. Allow adequate stopping distance between you and the car in front and start slowing down earlier before intersections, traffic lights and other turns. It’s easy to lose sight of the truth that tyres are one of the most critical safety features of your car and provide safer motoring for you and your family. See why safety is at the heart of everything we do here. Sounds like I made the right decision to live in the Tropics. But who can tell these days? It is amazing how many people DO NOT use their headlights in bad conditions. It seems to be that owners of grey/silver coloured cars have a pact to try and remain invisible. I totally agree, and in the morning when I head down the highway at dawn the number of drivers who seem to think it's not necessary to be seen is staggering! I don't turn my lights off.